If you´re looking to create a high quality and efficient social report media, our unique presentation will help you create the best analytics report to showcase your results. 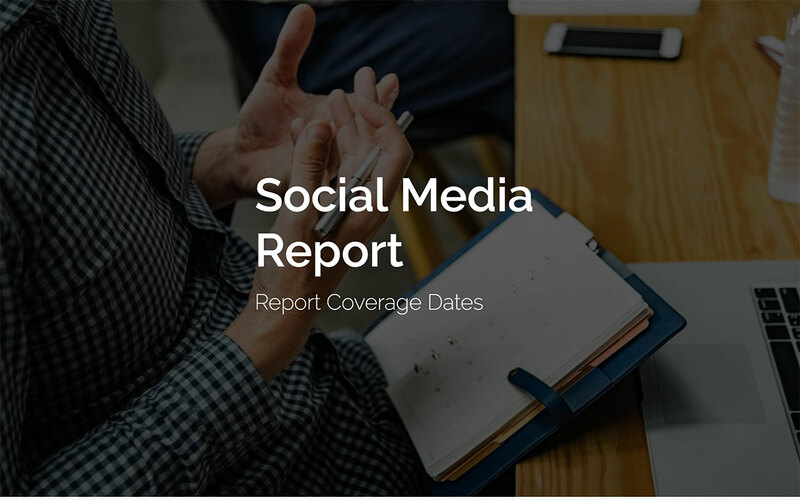 What is a social media report template? 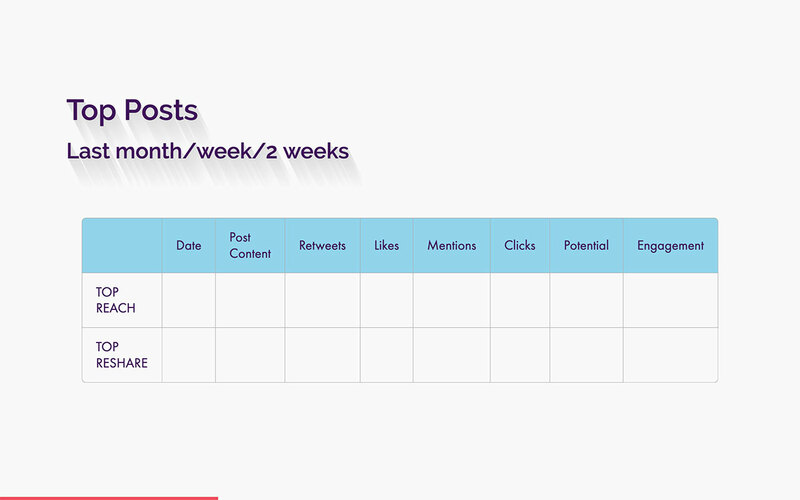 When you are running content on any social media platform, you need to be clear on what are the key performance indicators (KPI´s) you will be tracking. It´s essential to establish the correct measurement needs according to the objectives you have on your project. This should even be in close relationship with the goals or sales needs your customer has set out for their brand. 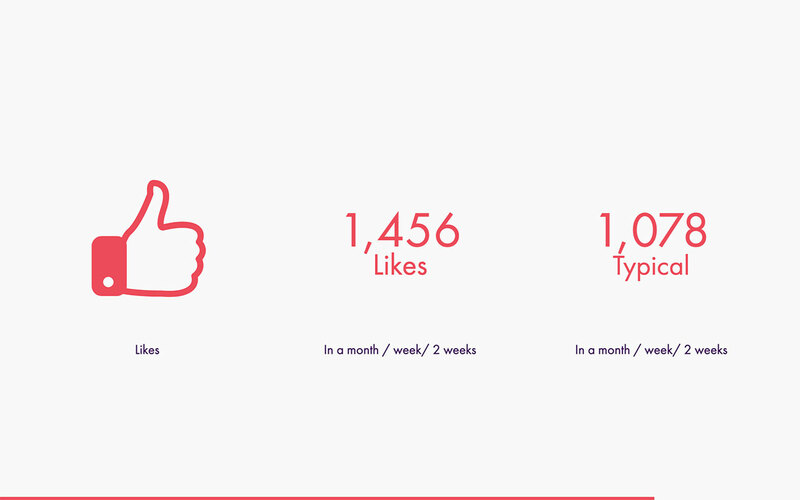 This template will provide a set of elegant and straightforward slides that will allow you to focus on some of the most relevant numbers. 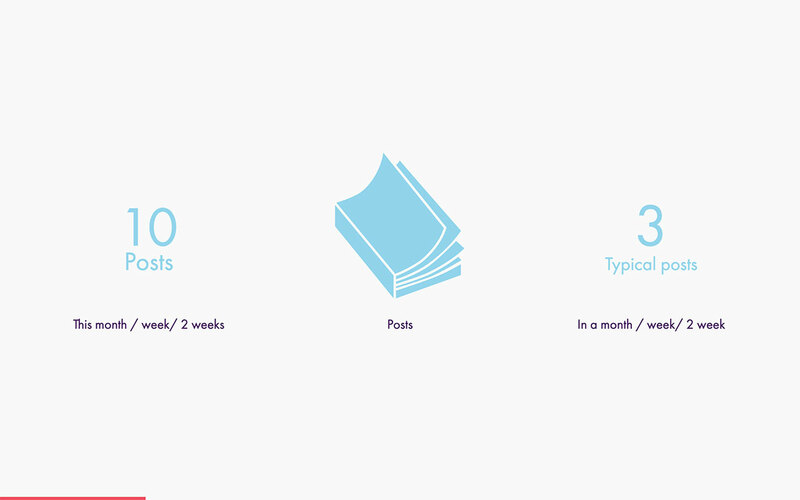 Information as reach or amount of posts published can be incredibly valuable for your client to understand the business. Make sure you pay particular attention to all the progress that has been done and take into account your top posts. 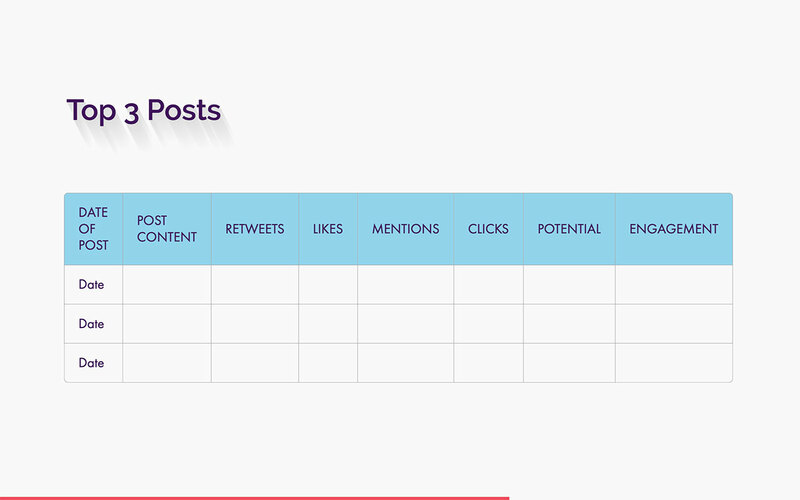 What does the social media report template include? 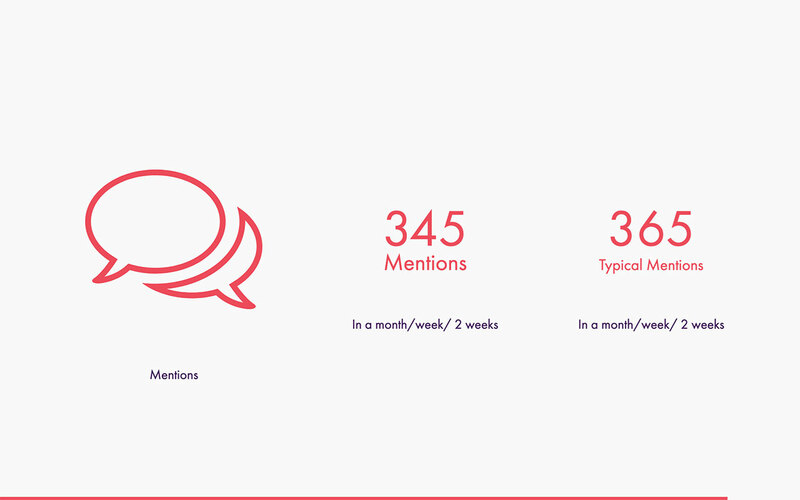 To present a complete analytics report for social media, it´s essential to have the actionable information at hand. 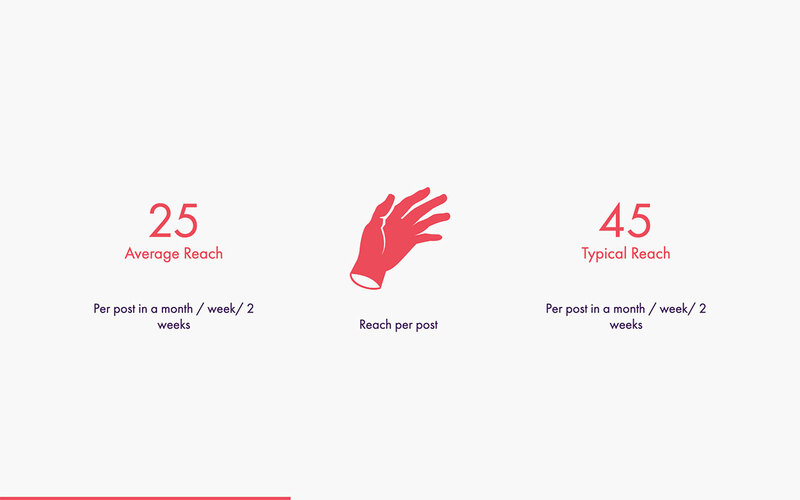 In some platforms one metric can vary in importance related to others, so make sure you establish where these focus areas are. Consider if you are using, Facebook, Twitter or even Instagram and how each post can be affected by the user. 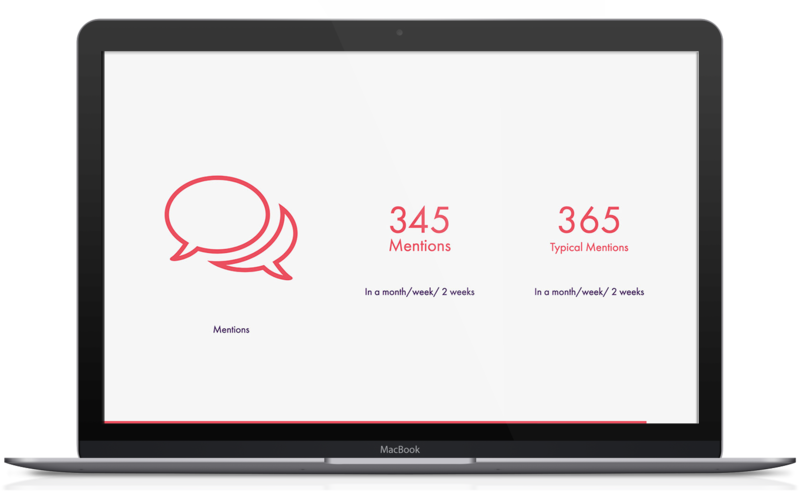 Define your strategy based on the efficiency of the platforms you have available; this allows you to make tough decisions quickly. 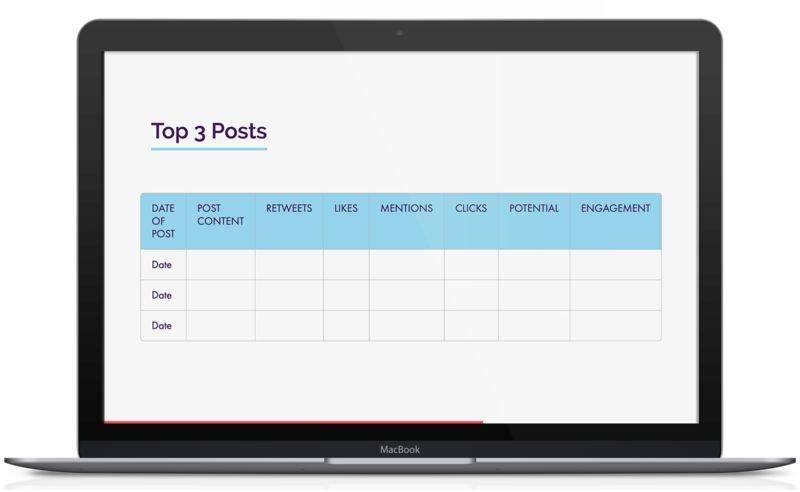 Taking this step forward will provide you in the long run with necessary measurements like tweets or likes. 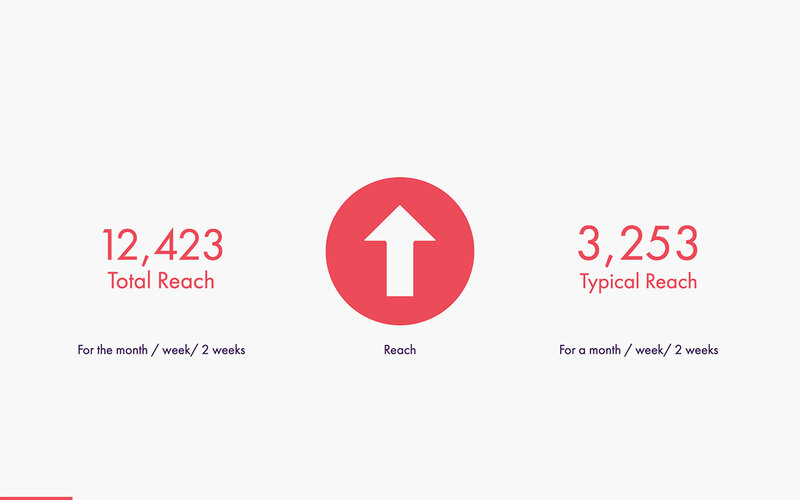 In this presentation, you will find all the visual aids to a better and more efficient understanding of your brand's success for each platform. 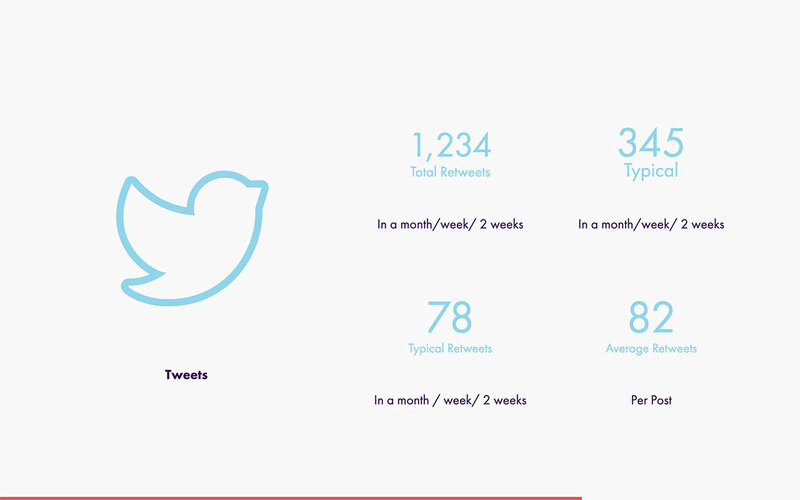 What information should you add in the social media report template? 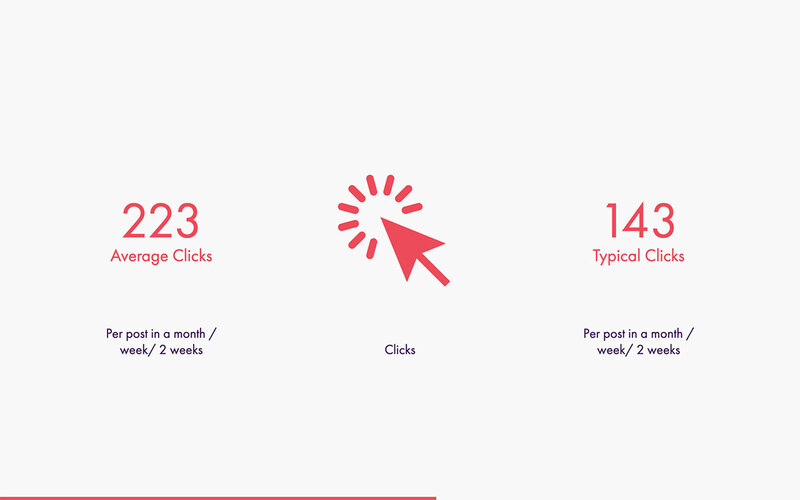 Be efficient in your numbers display, communicate the most relevant metrics straightforwardly. 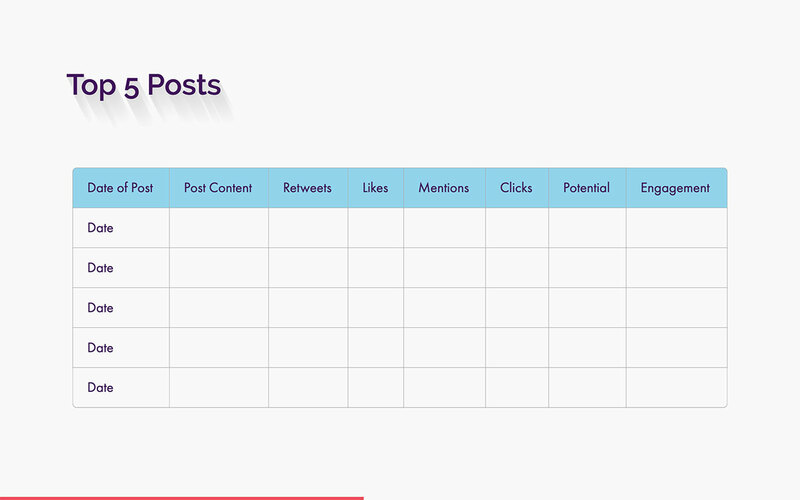 Don´t forget to include your top performing posts; this is the main advantage over your competitors. Be mindful of your goals, report upon completion and celebrate your wins.